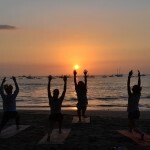 We Have The Best Location In Tamarindo! 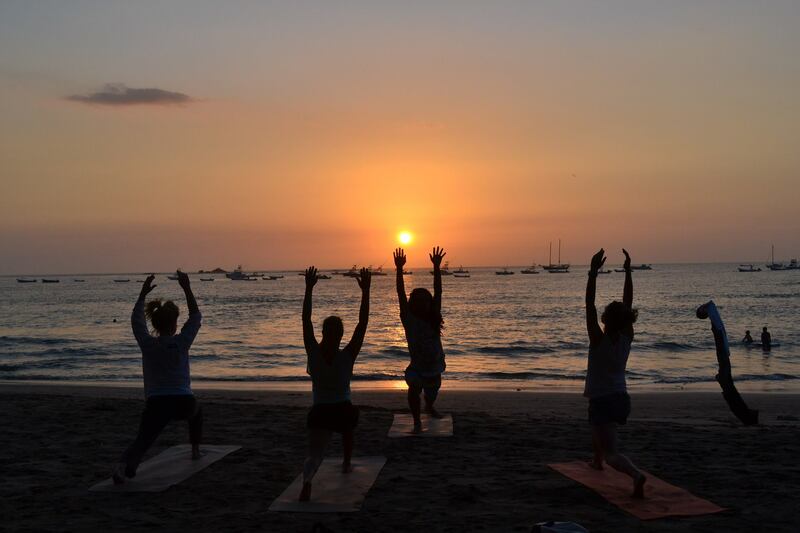 If you want to be in the center of Tamarindo AND right on the beach, then Coastal Spanish in the place to be. 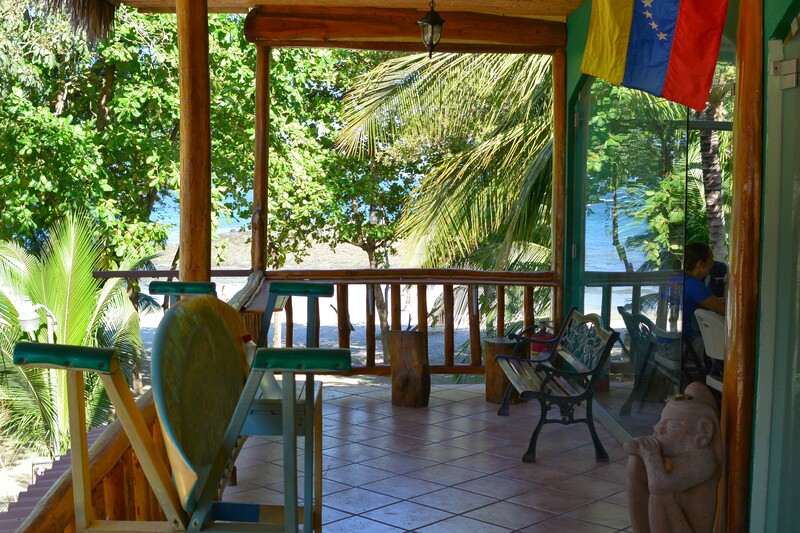 All our classrooms have a/c for those hot sunny days and our break area is literally on the sand overlooking the most beautiful beach in Guanacaste. We are steps away from all that this amazing tropical beach town has to offer. The picture to the right shows where our building is in relation to the beach. See photos of the new location below. 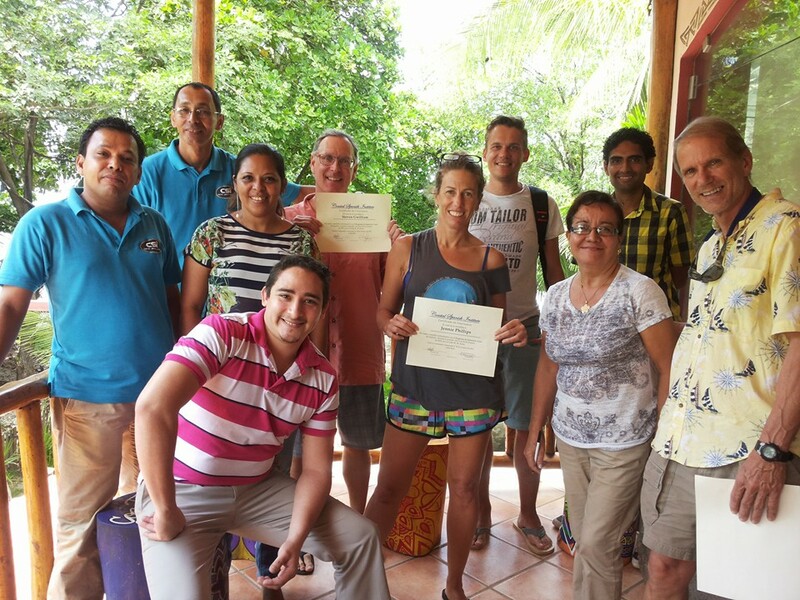 Coastal Spanish Institute offers quality intensive Spanish language courses in one of the most beautiful beach areas found anywhere in Costa Rica. Students from around the world come to participate in our various Spanish language programs. Studying Spanish at Coastal Spanish will allow you to not only learn Spanish, but experience a truly unique immersion experience. 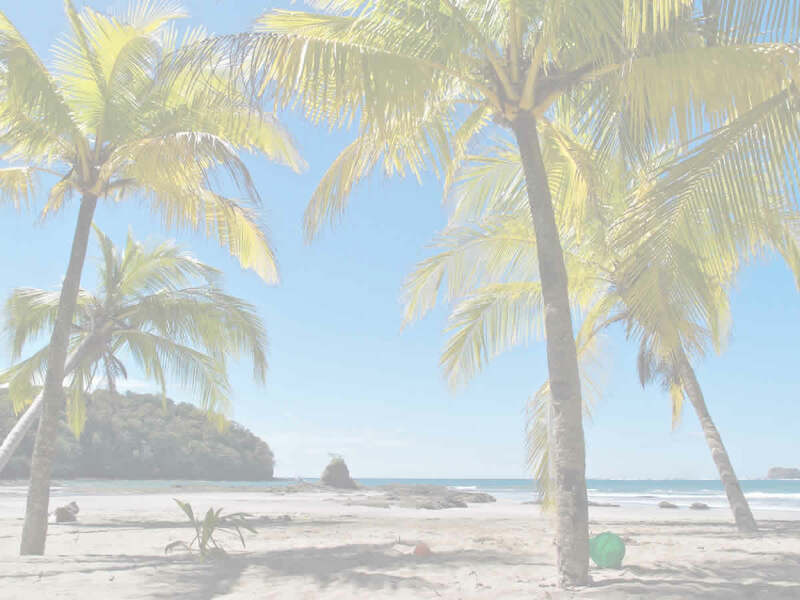 If you are interesting in learning Spanish and discovering one of the most beautiful areas in Costa Rica, then Coastal Spanish is a great choice for you! 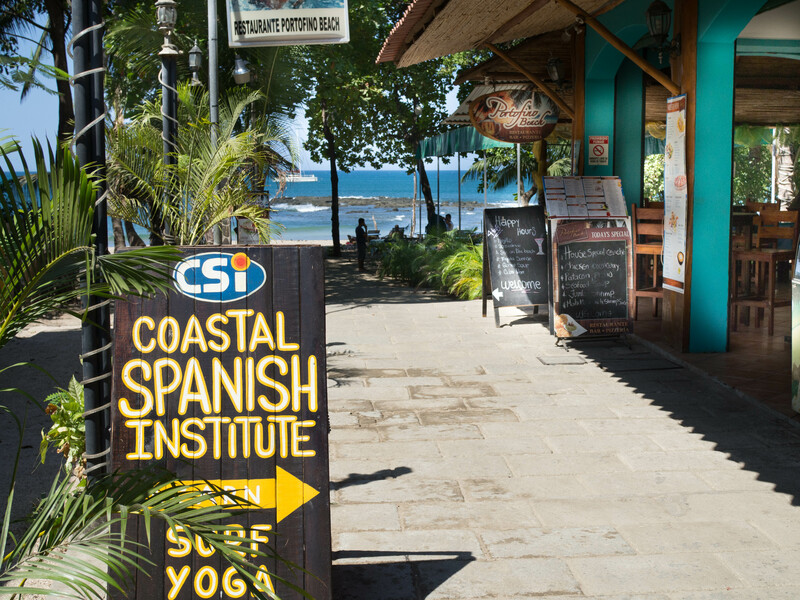 Coastal Spanish Institute is situated in the heart of Playa Tamarindo, Costa Rica. From Coastal Spanish, everything in the town (including the beach) are just a few minutes walk away. Currently classes are held in a comfortable facility which is perfectly suited for both small group and private language instruction. The top floor of the building also is utilized for a student break area and a place to offer various cultural activities. 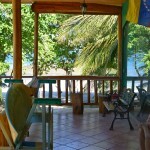 Around the classrooms, students can enjoy the beautiful weather or relax on the beach. We feel that our Spanish language school provides the perfect atmosphere for those who want to study and learn Spanish in Playa Tamarindo. Our school has a number of great Spanish programs. We offer both group and private classes. Need a customized Spanish program? Coastal Spanish can help create the perfect Spanish program for you. We bring a group of high school students down to this school every Spring Break. Hugh and Sonia really go out of their way to make sure everything runs smoothly. See you next year! I came down to learn Spanish and fell in love with Costa Rica and the people. I can't wait to get go back to CSI. Stay with a host family if you really want to improve your Spanish. I came down with my girlfriend in June. We were very satisfied with the teachers and the school. Weekend trips with other students were a lot of fun! We loved Arenal. Our group studied here in September 2013. The school set up a program perfect for intermediate level medical students. The visits to local clinics were a nice component of our program. The Spanish and Surf program was excellent. We had Spanish classes every day and surf lessons a few times per week. Everyone was helpful. Loved the school and really love Costa Rica. Our family attended Coastal Spanish during the month of August. The overall experience was wonderful. We could not have been more happy with the school, the teachers, and the location. I highly recommend Coastal Spanish!